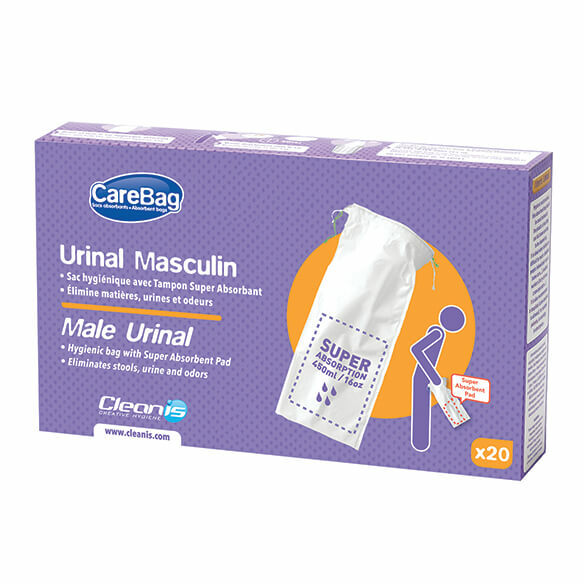 CareBag® Disposable Male Urinal with Super Absorbent Pad is a discreet, hygienic solution when a toilet is out of reach. 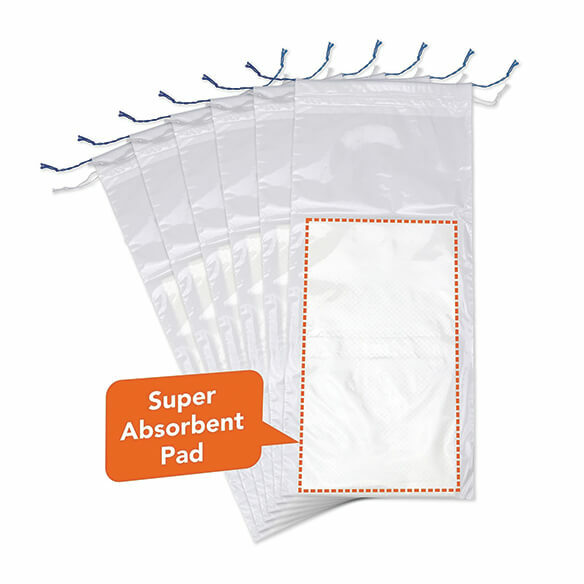 As the no-mess disposable urinal instantly converts liquid to gel, simply tighten the drawstring to seal in odors and toss in the trash. No cleaning the Carebag men's urinal required, like with plastic urinals. Step 1: Gently pull the ties. Step 2: Tie a knot around the bag using the ties.